After some serious deliberation, the National Super Alliance has finally settled on the members who will fill different House leadership positions as Parliament kicks off its official business today, September 13, 2017. 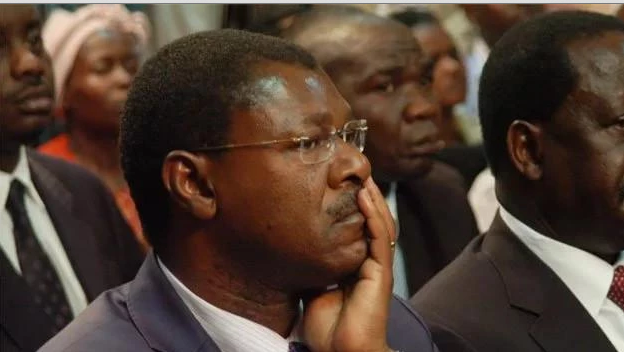 Co-principal Moses Wetangula held a meeting yesterday with some Opposition MPs at his office around 1pm where they were informed of the final list. In the Upper House, Weta will retain his position as the Minority Leader and he will be deputised by Siaya Senator James Orengo. Senate Whip position will be occupied by Makueni Senator Mutula Kilonzo Jnr who will be assisted by Petronila Were, an ANC nominated Senator. In the National Assembly, ODM Chairman John Mbadi will be the Minority Leader, taking over from Wiper’s Francis Nyenze of Kitui West. Mbadi, who is also the Suba South Member of Parliament will be deputised by ANC’s Ayub Savula. National Assembly Chief big position will go to Robert Mbui (Kathiani) of Wiper and will be deputised by Kiminini MP Chris Wamalwa of Ford Kenya. Wetangula will today write to the Speaker of National Assembly Justin Muturi and his Senate counterpart Kenneth Lusaka about the picks, the Nation reports. The Opposition is yet to settle on the chairpersons of parliamentary committees according to a source who attended the said meeting.